During our Community Bible Study we're looking at The Beatitudes from the Sermon on the Mount. 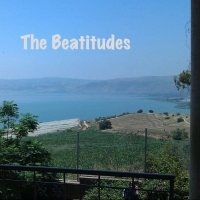 The view in the photo above is from the Church of the Beatitudes, built where some believe Jesus taught on them. Follow our schedule on the front page. When we're meeting at the Crowne Plaza, the Bible Study will start at 9:30am.